Oh sweet sweet resignation. This is the sweetest resignation letter I've ever heard about, even his resignation letter is an advert. This is how you know people with talent. I bet he'll have more customer than he can handle. 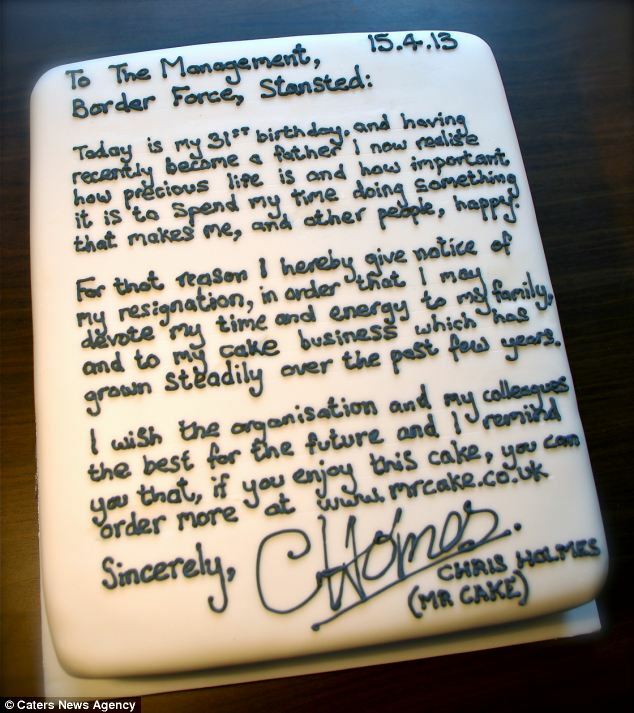 Chris Holmes, 31, who worked at Stansted Airport, tweeted a picture of the note to resign from his job and pursue his dream to run a bakery business. 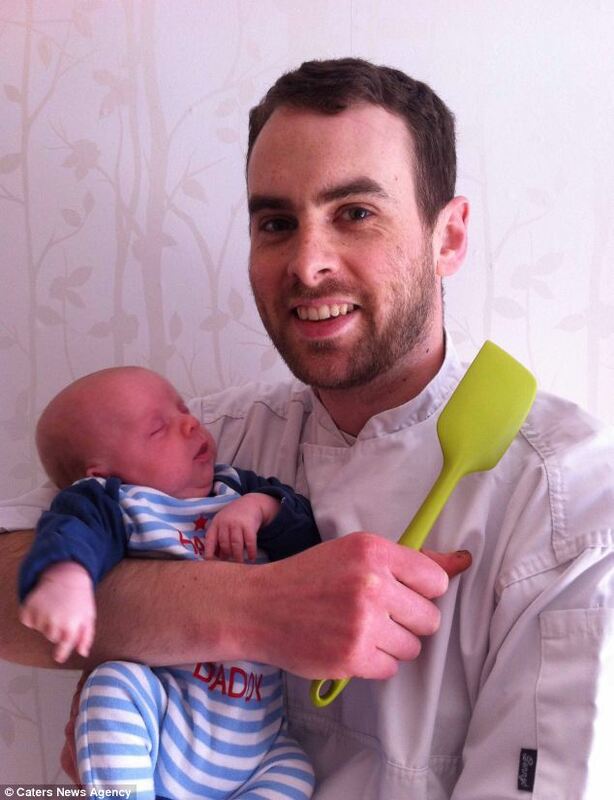 'I handed in the cake in person to the duty manager. I think he was pleasantly surprised. 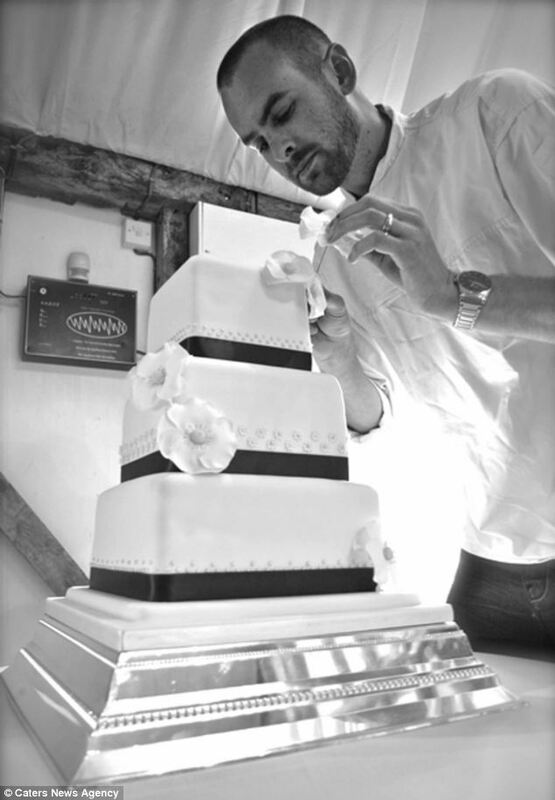 It was a passion cake - a carrot cake made with coconut, pecans, sultanas and orange buttercream. The lettering was a bit tricky because there were so many words and was quite fiddly. I thought it was a good natured resignation and hopefully left a nice taste in their mouths.